Actually, if practically classification of cockroaches or species of cockroaches, the discussion was too short. But because the limitations of reference, so I just write down here what it is. Surely we are already familiar with the beast called cockroaches. This small animal in the Java language are usually called 'coro', he lived nearly all the places. Habitat especially under houses, in a moist environment, and inside the house.Cockroaches included in the category of insects from Blattodea ordo. Asian cockroach (Blattella asahinai), with a body length of about 1 ½ cm. American cockroaches (Periplaneta americana), with a body length of about 3 cm. German cockroaches (Blattella germanica), with a body length of about 1 ½ cm. 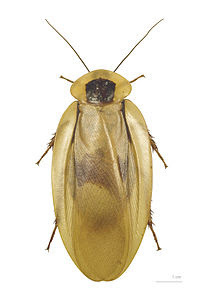 That was some species of cockroaches are often found, in fact there are many more species of this animal. If you have a complete reference please add here.